As software development evolves to service-oriented architectures, the underlying frameworks and methods used must change as well. 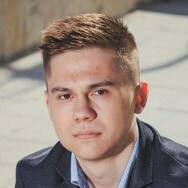 Mircea Oprea demonstrates how to create a service to manage authentication across components and servers. Lately, software has leaned more towards component-based systems, such as SOA (service-oriented architecture), and more specifically microservices. While this approach is used to solve scalability and reusability issues in most systems, it also raises a few new challenges for the developers. One of these challenges is verifying a user’s identity across multiple components. In an SOA or microservice architecture, each of the components might be deployed to a separate server, so the monolithic approach of creating a session for each user would not work anymore. Even if the applications with which the user interacts (the web and phone applications from the diagram) would use a session for validating the users’ identities, this validation would mean nothing in the other components. To solve this problem, a filter should be placed between the front-end applications and the services. This filter, the API Gateway, would serve the purpose of redirecting each request to the component that is responsible for handling it, but only if the user has access to perform that specific action. And to keep the API Gateway light-weight, a specific component should be used for validating the users’ identities. The user logs in from a web/phone application; the credentials are sent through the API gateway to the responsible component. If the credentials are correct, a token is issued and returned to the user. Each further request will contain this token, which will be verified by the API gateway through the same component that issued it. If the token is valid, the request is allowed to be sent. If the token is not valid, the request is blocked. In this article, I will focus on creating the service that is responsible for issuing and verifying the identity of the users. I will develop this with the ASP.NET WebAPI, but a similar approach can be used with any other technology, such as Node.JS, Java or Python. The tokens that I will use are JSON Web Tokens (JWT, which is “a compact, URL-safe means of representing claims to be transferred between two parties.”) Basically, a JWT is an encoded JSON object, which is then signed either with a secret key, or a public/private key pair. A JWT is composed of three different parts: the header, the payload and the signature. The header usually consists of two parts: the token’s type (JWT), and the hashing algorithm that is being used (e.g. HMAC SHA256). The payload contains the ‘claims’ of the token, which represent statements about an entity (e.g. the user). There are three types of claims: registered, public and private. The most important of these are the private claims, which are used to share information between the parties that agreed on using the JWT. These could contain the name of the user or the roles (e.g. admin, publisher). After the first two parts are encoded using Base64Url, the signature needs to be created. This consists of the header and the payload, which are hashed using the algorithm specified in the header. The purpose of the signature is to validate the identity of the sender and to ensure that the message was not changed. As I said, the project in this article will be developed using the ASP.NET WebAPI. I am going to use the .NET Framework for this, but it should also work if you plan on using .NET Core. To start, open Visual Studio and create a new project. 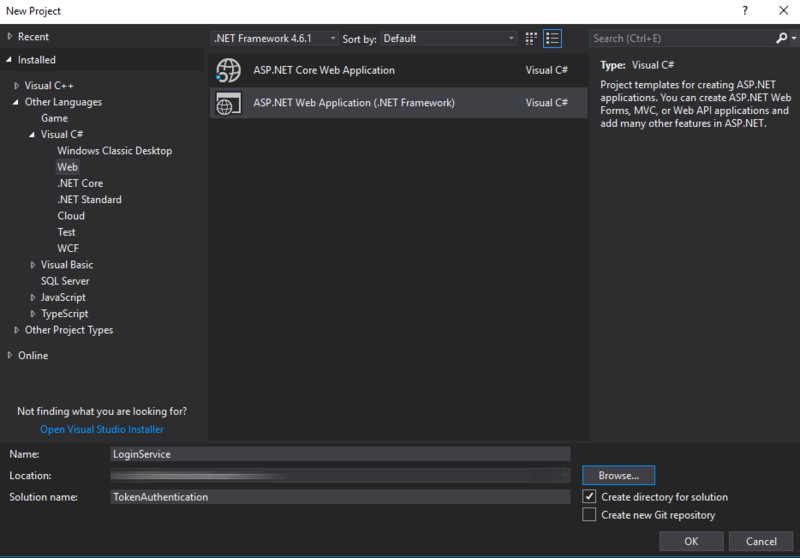 Go to Visual C# -> Web and choose ASP.NET Web Application. In the new window that opens, choose Empty from the list of project types, and then check the Web API box. Depending on the functionality that you plan on using in this project, you might also want to have access to the MVC package; for this tutorial, however, Web API will suffice. The first thing to do is to create a very simple User class, consisting of a username and a password. Since this tutorial only focuses on the JWT aspect, I will not bother to access a database or hash the password, so I will just store it in plain text – this is not a good practice for a real application, though. Just to have something to work with, I will create a UserRepository class in a new folder named Repositories, that emulates database access. This will just contain a list that I populate in the constructor, and a method that can retrieve data from that list based on a username. Be sure to add a using statement referring to the namespace containing the User class. The first thing to create in the new TokenManager class is a field called Secret that is going to act as the secret key for the tokens. You could use an online generator to create a secret, or you can create it in C# by running the following code in a separate project and copying the result. The first method that will be part of the TokenManager class is the GenerateToken method. My version will take a username as a parameter, since the tokens are supposed to ensure the identity of users, but you can take any other parameters which are suitable in your case. The first thing that the method does is to create a SymmetricSecurityKey object by using the HMACSHA256 secret that we created earlier. After that, it starts creating the descriptor object. This represents the main content of the JWT, such as the claims, the expiration date and the signing information. Then, the token is created and a string version of it is returned. The first method will take in a username and a password, check if they are valid and then generate a token based on the username. I marked the action as POST, so I can send the object data through the request’s body rather than URL parameters. Since we are dealing with passwords, it is better to hide such information since URL parameters would be saved in the browser’s history, for example. I am taking a User object as a parameter, because I only hold the username and password in that class. If your object is more complex, my suggestion is to create a separate class that only contains the data you want to be passed. In the method, the first thing that I am doing is checking for the existence of the user. If it is null, I am returning a NotFound (404) response. If the user is indeed found, I am checking if the password is correct and returning a corresponding message if it is not. Finally, if everything is fine, I am returning an OK message that contains a new token based on the username that was provided. Now that one half of the functionality is finished, it would be a good idea to test it at this point. I am going to use Postman for this purpose, but there are many alternatives that you could use, such as Fiddler. With the token generation working, it is time to start the validation functionality. Back to the TokenManager class create a method called GetPrincipal, which is going to read, validate the token and create a ClaimsPrincipal object, which holds the user’s identity. (Note: The completed TokenManager class may be downloaded at the bottom of the article). The method reads the token in string format and converts it into a JwtSecurityToken, if possible. Afterwards, a list of parameters is created, which will be used during the validation process. This includes creating the key again, using the same secret as during the generation of the token. The ClaimsPrincipal object is then created and returned. The try-catch block handles the cases where the format of the token is wrong, and it cannot be validated. Now create another method to extract the data from the Principal object. This method is where you will want to add or modify things, depending on the data that you send in the tokens. This method creates the Principal object using the token and then extracts the Identity object out of it. This object contains all the claims from the token, based on the claim type. Since the token only contains a username, I designed the method to return that username, and any further check will be performed in the controller. If you have more fields in the token that need further verification from your database, for example, you could do that in this method and change it to return a Boolean. The action for the token validation in the same login controller is a GET action that takes in the username and the token. Add this to the LoginController class. Firstly, it checks the existence of the username in the repository – since there is no reason to validate a token for a non-existing user. Then it validates the token using the previously created method and returns a proper HTTP response. The last task is to test this part of the functionality. Start debugging once more. Since this is a GET request, I am filling in the token and the username as URL parameters. Click the Params button to the right of the URL to fill these in. Since everything is in order, I am getting a 200 response. For a wrong username or wrong token, a 400 response is returned instead. In this article, I only considered the case where a specific service is used for authentication purposes. However, the same technology could be used in a scenario where the token should be used to verify the user’s identity for access at the same component. In that case, an easier solution would be to create an authentication filter and use it to decorate the actions that require authentication. This is a scenario where the role claim would be helpful, since requests could be filtered by different permission levels. 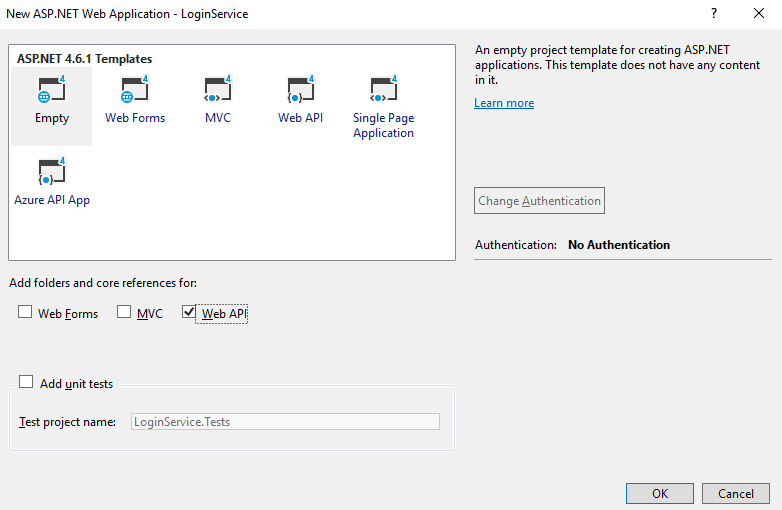 A tutorial about how to create authentication filters in Web API can be found here. Since length of URL address is limited, putting JWT into url can be not the best solution. You can put your JWT token into Authorization header, for example. That is correct, and I plan on demonstrating that in a future tutorial about creating the API gateway. But since this tutorial focused on issuing and validating the JWT, I preferred to keep things simple. when will ur next article coming..pls reply. i mean this next part of the same topic. I will post something about the API gateway on my website, pretty soon. It sounds like it might be an issue related to the private key that is generated. Do you mind sharing your code? I see. But there should still be a way for you to add an expiration date to the token without generating an error. I’ll look into that. Had to comment out the EXPIRES also to make it work. Any more info on this? I could not replicate this error, but I’ve done some research. Try setting “IdentityModelEventSource.ShowPII = true;” before generating/validating the token. Using – .Expires = DateTime.Now.AddMinutes(30) – noticed after your suggestion – it said not before a time that looked like utc time instead of local. This makes sense since the user time might be in a different time zone or there may be a local time change before the token expires. This would have been my next suggestion; thanks for pointing it out. I will edit the code in the article too. Thank you – great article. Wondering if you are in a time zone where utc=now? For others issues related to token time, make sure your systems are time sync’d to ntp. Yes, that was actually the problem. Something to keep in mind. Thank you! It will be done soon. OAuth2 REST API version?. Maybe for create WEB API (REST with OAuth2) and third party consuming the Web API. Thanks. Looking forward to the API gateway article. Hello, i wanted to ask the best practices on implementing this Token API as authentication in other APIs. Is it correct to just make a reference to the Token API Validation using a token already generated before hand ? 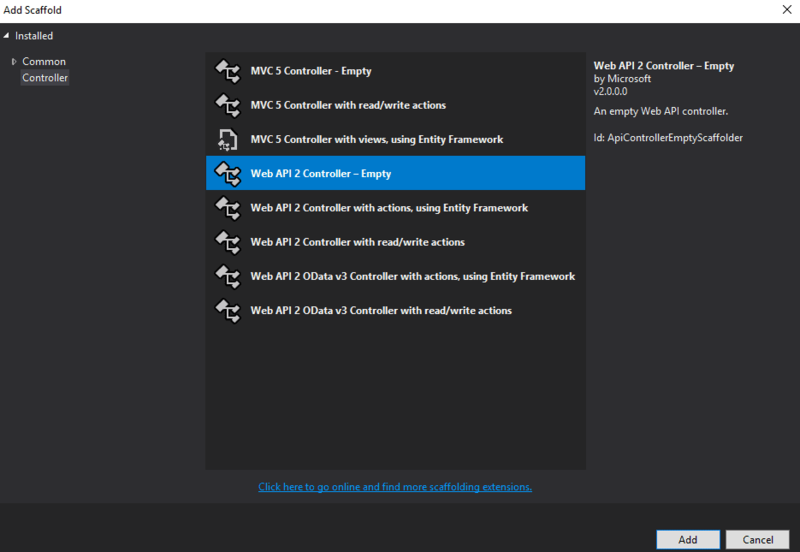 – Makes adding JWT Bearer Token Security to your ASP NET Core 2.0+ app a breeze!! Can you please help me how I can put the authorization header for various web methods I need to expose so that the token authorization is taken care. In swagger how can implement token key based authentication and how to pass key value in header text box value before explore click. Thank you for the interesting article Mircea Oprea! It is a good example how to generate and validate custom-made tokens and use them for validation of user identity. But what happens on the client-side with this token? Maybe it must be generated every time the client request some piece of information from the server or it will be stored locally (for the client) for further use? This is requested once (until it expires) and stored on the client for further requests. I’m working on a large article series that will contain a JWT authentication part too, so you’ll be able to check that out soon. thanks for this. I’ve been browsing more than too many articles, but this one explained it best. Thanks, you are the best, there are so many articles, so many code but none of them this easy to understand.